Remote Control for automatic movement for gates. Components are designed for smooth operation and durablity. Customized key to open gate the gate during power cut. Motors for intensive use are protected by heat wave. 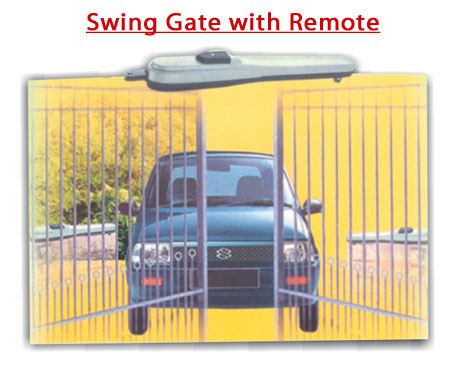 Vinayaga swing gates are safe and equipped with electronic force regulator.